£50 non-refundable deposit and 75 refundable security bond payable within 7 days of booking. Full balance due 10 weeks before arrival if not received we have the right to cancel your holiday without notice. Instalments taken if required. 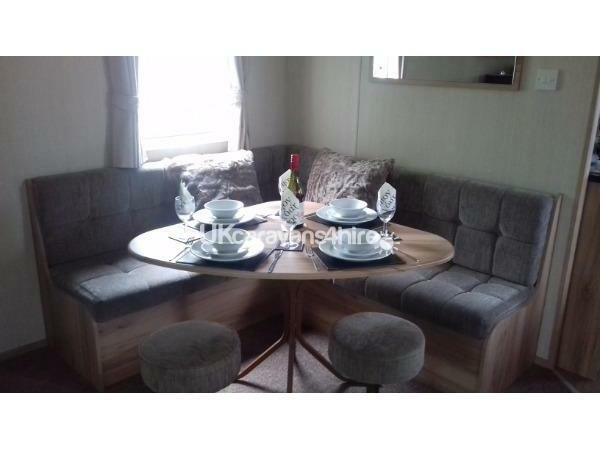 Privately owned 2014 caravan situated on Thorpe Park with gas fire and electric panel heaters to all bedrooms. Gated verandah and private concrete parking space. 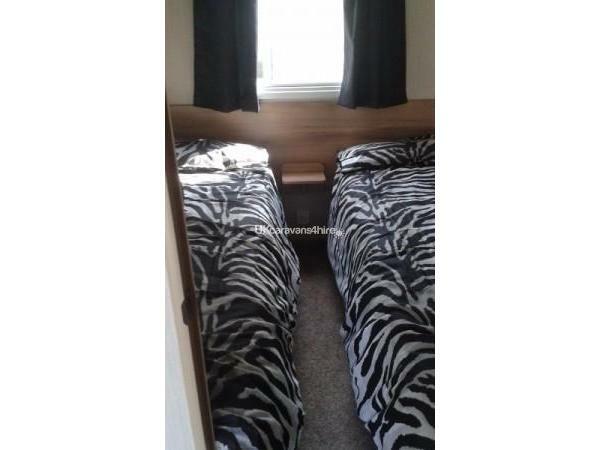 5 min walk to the Sandy beach where if you are feeling energetic you can walk right into Cleethorpes where there is plenty to occupy all from amusements, pubs, bistros and plenty more. Grimsby is not far away where there is plenty of shopping or fishing heritage centre to learn all about the history of the town. Bus service is available directly from Thorpe Park regularly. On-site shops are available for anything you might have forgot. Book early to avoid disappointment and enjoy your holiday I'm sure you will. Feel free to email or phone with any queries thank you. Additional Info: Burger king, papa John pizza delivery to caravan or takeaway. 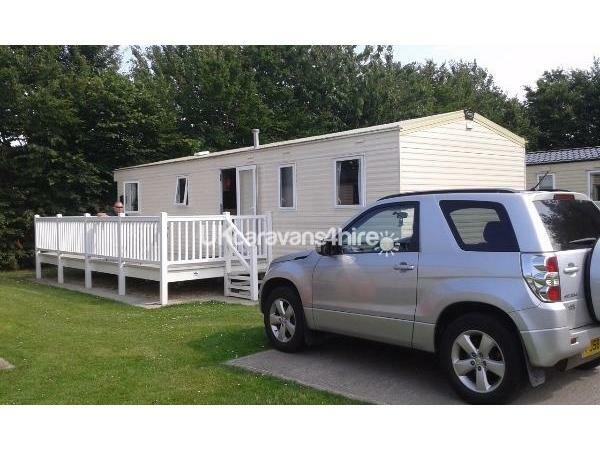 We have just returned from staying in this caravan and our stay was fantastic. 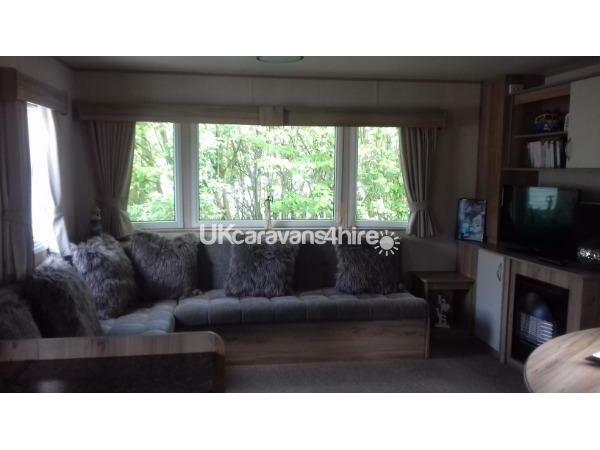 The caravan is clean and spacious with a very practical layout. We enjoyed sitting on the veranda in the evening. One of the things I really liked is that the caravan has lined blackout curtains. 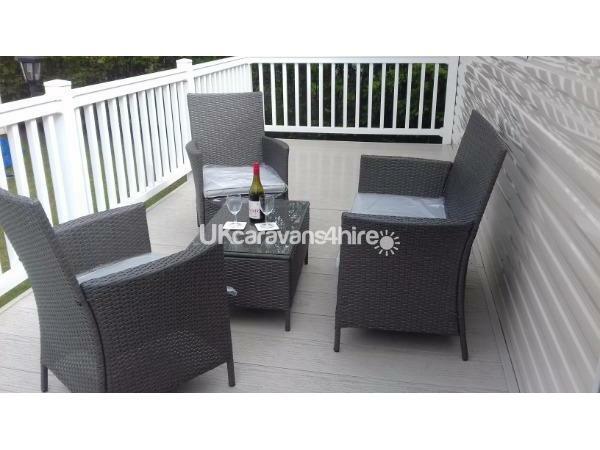 All throughout the process of booking and using the caravan Angela has been professional and friendly. Angela was on hand to answer any questions we had. 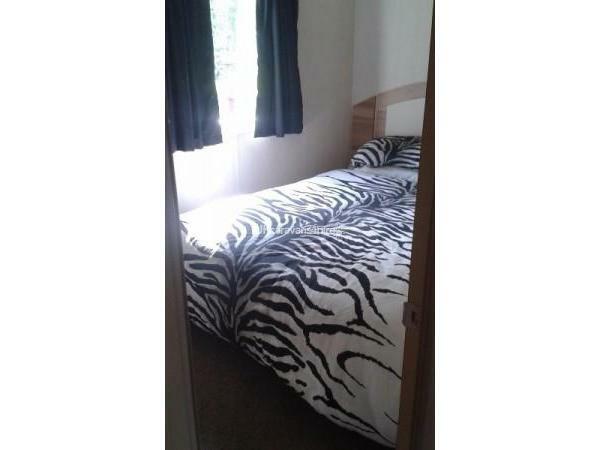 I would happily book with Angela again if we did return to Cleethorpes.